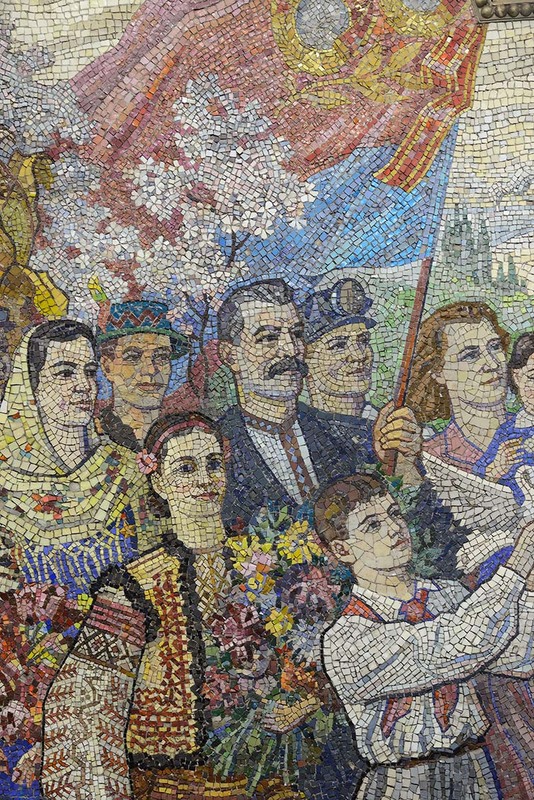 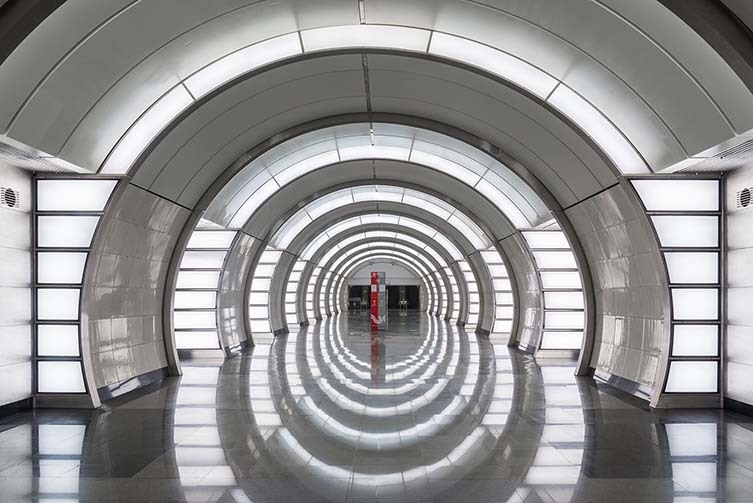 Nikolai Vassiliev​, an author and historian specialising in architecture and urban history, has collaborated once more with Blue Crow Media. 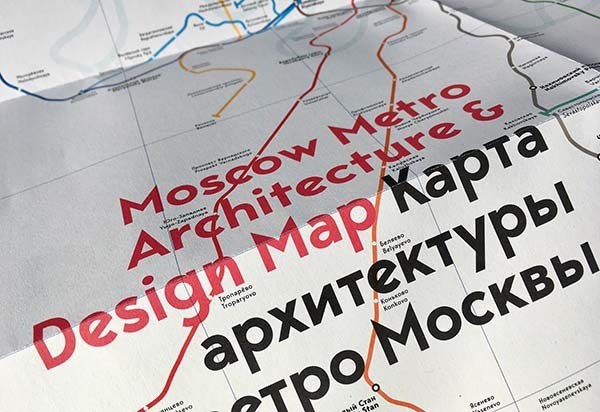 Following the 2016-published Constructivist Moscow Map, the publisher’s ongoing series of architecture and design maps continues with Moscow Metro Architecture & Design Map, celebrating the city’s transit system—the Soviet Union’s first—which debuted in 1935 with one 11 kilometre (6.8 miles) line and 13 stations. 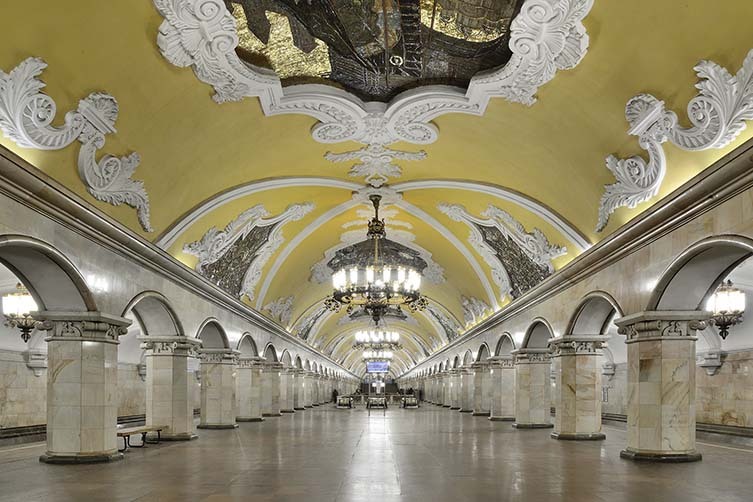 Highlighting unique examples of architecture and ornate decoration throughout an imposing system that today has expanded to 214 stations across 364.9 km (226.7 mi), this architecture map—with accompanying photographs by Alexei Narodizkii​—includes landmark stations that display the diversity of Moscow’s metro. 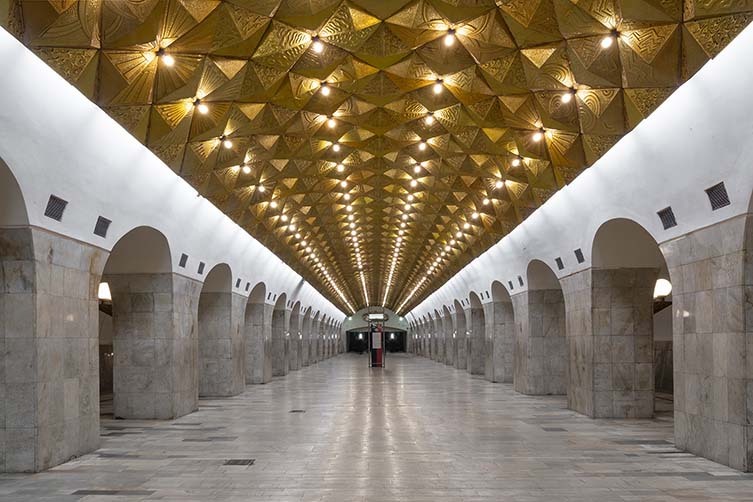 Stations such as Komsomolskaya, a building that features an octagonal dome topped by a cupola, chandelier lights, and imposing Baroque ceiling; Krasnye Vorota, one of the original 13 stations whose first entrance resembles a subterranean vestibule with mezzanine stairwells and a distinctive shell-like pavilion, its second, a more flamboyant Stalinist style; and Frunzenskaya, which is distinctly futuristic in its appearance. 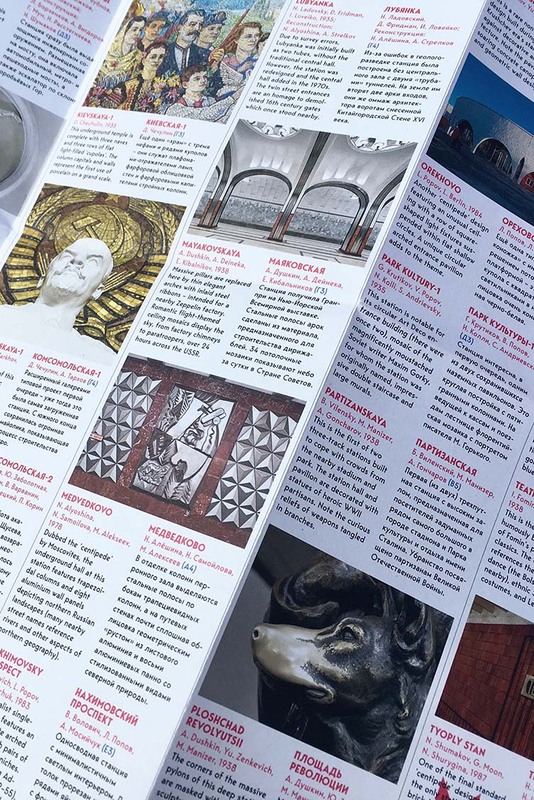 The two-sided cartographic guide—published in both English and Russian—includes an originally designed geographical Moscow Metro map, an introduction from Nikolai Shumakov, chief designer of many of the Russian capital’s contemporary stations, and is available at independent bookstores worldwide as well as via bluecrowmedia.com.